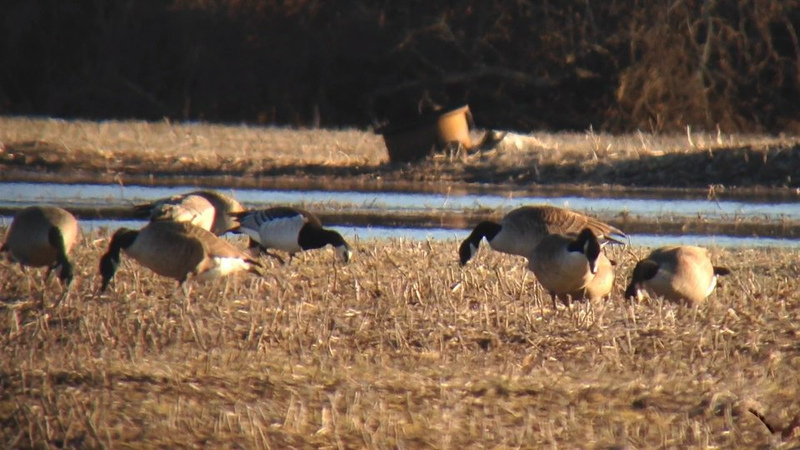 Canada Goose in Elkton, Maryland on 31 January 2015. Photo by Tim Schreckengost. Ah, it’s that time of year, the time when geese congregate in fields hoping a birder will come pick through them. Looking at geese can be overwhelming and may not seem appealing to most, but to me, goosing is my go-to, or jam if you will, this time of year. 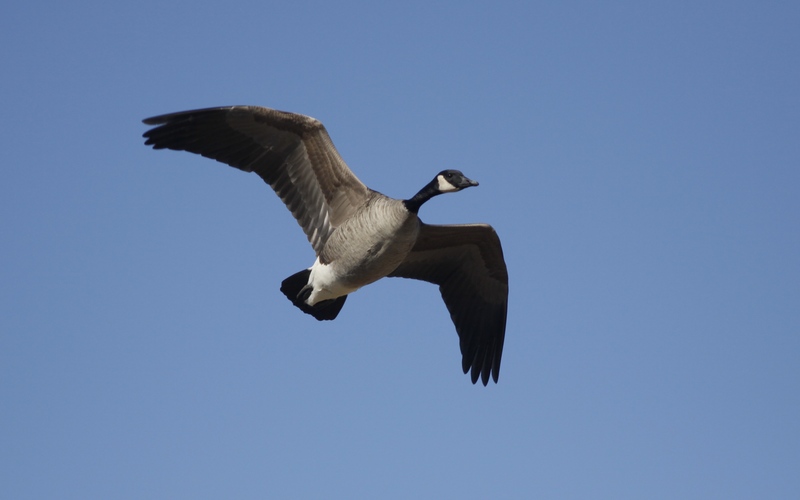 If you want to find uncommon geese, here are four useful tips to facilitate the process. 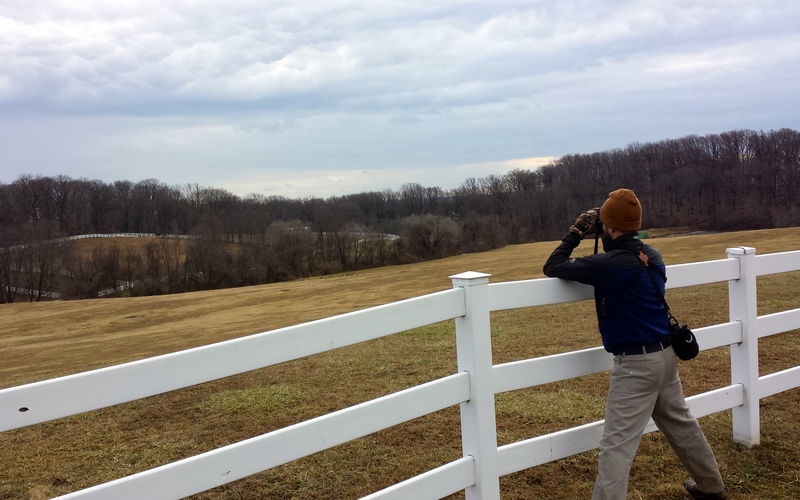 In order to find goose flocks, you have to go birding. No matter the weather conditions, the geese will be out foraging in fields or loafing on open water. Get out. Stay out. 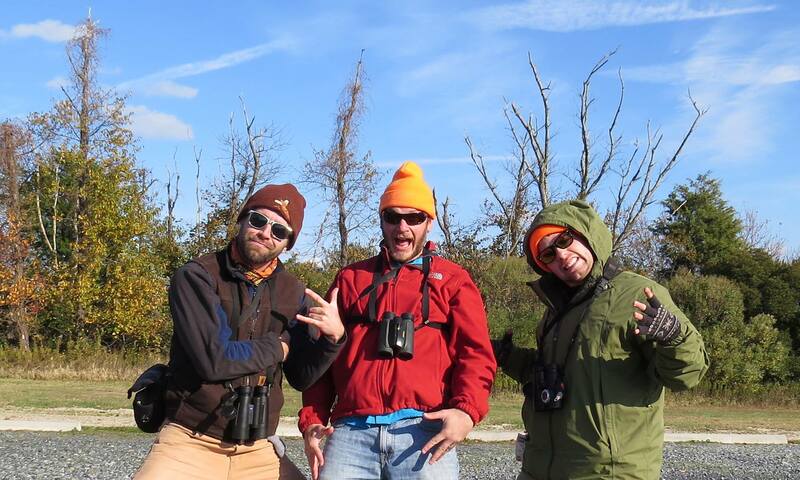 GO BIRDING! 2. Drive through and bird areas that will likely have geese. I usually find geese in cut corn fields and local parks with open water. If you have a local spot where geese tend to hang out, check it a few times a week. You never know when a cool goose will show up. Alan Kneidel and I found this Barnacle Goose and associated hybrids last February in Kent County, Delaware. We were on our way to conduct a raptor survey when we decided to pull off the road and scan the flock of geese that contained this rarity. The flock was about 300 birds strong if I remember correctly. 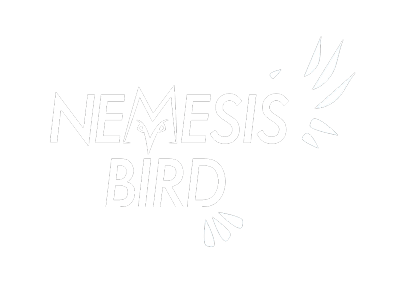 If we wouldn’t have stopped, we would’ve missed this bird! Barnacle Goose at the intersection of Rt. 9 and Walker School Rd., New Castle Co, DE on 22 February 2014. Digiscoped with an iPhone 5 + Vortex Razor HD 20-60×85 & Phone Skope Adapter. iPhone photo by Tim Schreckengost. 3. Scan every flock of geese you see. The more flocks you scan, the better your chances of finding an uncommon goose. Alan Kneidel and I picked through a number of geese scattered across the grounds of Carousel County Park in New Castle County, Delaware a few weeks ago. We did not find anything unusual, but it was still worth putting in the time. Who knows what could’ve been in that flock?! If you count every goose in every flock, you will not miss the odd ball. Check all of the heads, necks, bills, and legs of every goose you see and you’ll pull something crazy out of the flock and become famous! This may sound intimidating, but trust me, it will make you very happy some day. This could be the worst picture of a Greater White-fronted Goose that has ever been taken, but I spent five hours looking for this bird. I counted all of the geese in this pool several times before this bird put it’s head up. I saw it on my “last scan” of the day. 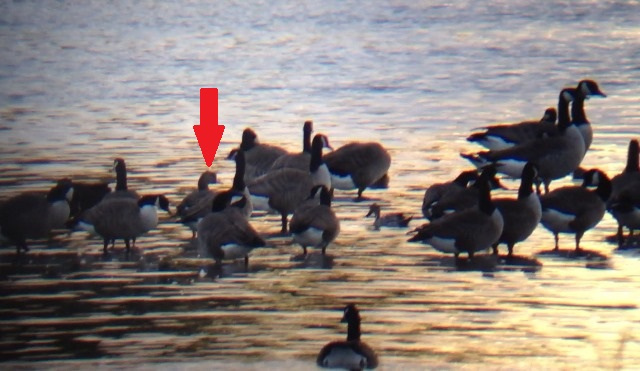 Greater White-fronted Goose in Shearness Pool – Bombay Hook NWR, Kent Co, DE on 22 October 2013. Digiscoped with an iPhone 4S + Celestron Regal M2 80ED & Phone Skope Adapter. iPhone photo by Tim Schreckengost.